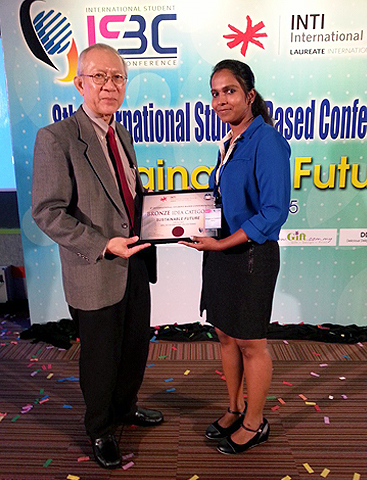 UTAR Master of Psychology (Industrial and Organisational Psychology) student K. Sanggari won the ‘Bronze Idea Category’ Award under the category of best ideas presented in the eighth International Student Based Conference (ISBC) held at INTI International College in Penang on 17 October 2015. Sanggari, who is also a tutor in UTAR’s Department of Psychology and Counselling, submitted her paper titled “Relationship between Different Types of Employee Recognition and Turnover among Employees in Hospitality Industry” to ISBC, which went along with her idea on ‘Employee Recognition Programme’, and resulted in a bronze award. She received a certificate of achievement and took home a cash prize of RM300. Her research was aimed to design and implement effective measures to overcome the turnover problem in the hospitality industry, as well as to reduce costs associated with employees’ turnover. 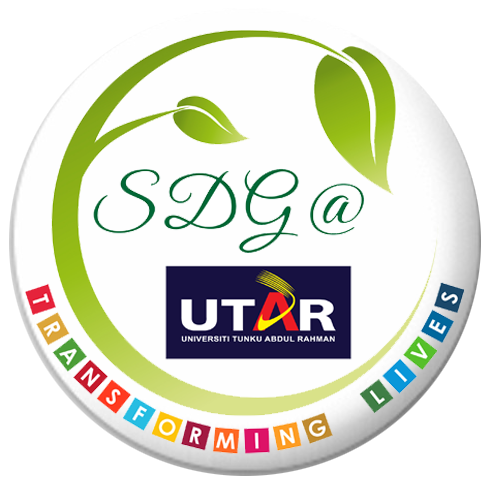 “It was my first ever external paper presentation and I’m glad to say that I won an award for it. I would like to convey a heartfelt gratitude to my supervisor Wirawahida binti Kamarul Zaman who has guided me and provided me with the best support throughout. Moreover, I also would like to thank my friends Hema Mathavan and Shattiakumar Krisnan for standing by my side even in the worst situations just for me to complete this research,” said Sanggari. Themed ‘Sustainable Future’ and Organised by INTI International College Penang, the conference was aimed to encourage participants, especially academics, to present ideas for achieving sustainability and constant development in research, as well as to create a platform for academics from around the world to network and share their research findings. The conference saw the participation of several international academics from countries as far afield as India, Taiwan, and the Philippines.